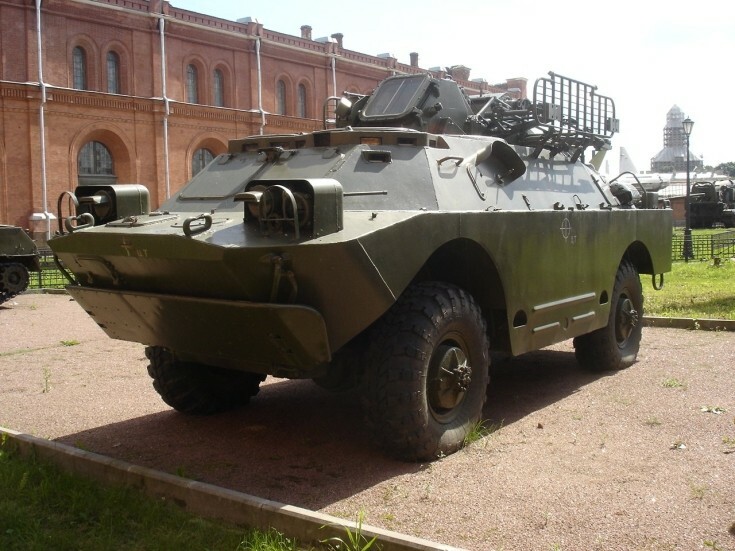 The 9P31 is a launcher vehicle for the 9M31 surface-to-air missile, belonging to the 9K31 Strela-1 (NATO: SA-9 "Gaskin") vehicle-mounted low-altitude SAM system. The SAM launching system with quadruple canister is capable of 360 degrees traverse and limited elevation. It is lowered for travel. The vehicle carries 8 missiles. There is a crew of three (commander, driver and gunner). Added by Timespanr on 25 July 2011.